We can book you onto flights to Montego Bay and Kingston in Jamaica, and destinations across the caribbean, Europe and Africa. We can book flights with Caribbean Airline, British Airways,out of most major UK airports (depending on the airline). Our long experience and good standing allows us to work closely with our airlines to secure the flight you need. You view our available flight prices by clicking on the 'view prices' link for the airline of your choice below. Currently only Caribbean Airline prices are on-line.Currently we can respond to enquiries on-line through our enquiry form, bookings must be arranged by contacting the shop. We are preferred partners for all the airlines shown below. The Red Carpet Service is designed to make you feel comfortable and relaxed during your flight. The service features meal prepared by the 'Flying Chef', high standards in flight hospitality, a frequent flier program, and a fleet of modern, safe comfortable planes. With the 7th heaven program you can earn a free round trip ticket simply by making Caribbean Airline your only choice for round trip travel. Make six round trips with Caribbean Airline and you get the 7th trip free. Caribbean Airline express is a service offering scheduled local flights between the main jamaican airports, and to and from other caribbean islands. Incoming flights are scheduled to make transfers to this local service fast and easy. To see our highly competive prices to Jamaica, view prices here. British Airways is the UK's largest international scheduled airline, flying to over 550 destinations at convenient times, to the best located airports. Whether customers are in the air or on the ground, British Airways takes pride in providing a full service experience. We are a preferred agent for British Airways, so whatever your requirement, contact us for help and advice. American Airlines is the worlds largest airline. Their global route coverage and extensive transatlantic service provides a safe dependable way to go across the atlantic and beyond. As a preferred agent for American Airlines we are in a position to learn of deals and seat availability, which we can pass on to you. Flight and Flight-Plus arrangements displayed on this website are financially protected by the Civil Aviation Authority (ATOL number 10653). But ATOL protection does not apply to all holiday and travel services listed on this website. Please ask us to confirm what protection may apply to your booking. 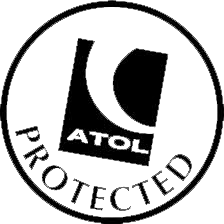 If you do not receive an ATOL Certificate then your booking will not be ATOL protected. If you do receive an ATOL Certificate but all the parts of your trip are not listed on it, those parts will not be ATOL protected. Please see our booking conditions for further details or for more information about financial protection and the ATOL Certificate go to: www.atol.org.uk/ATOLCertificate. The flight details for is not currently available. IF you would like more information regarding flights to please contact us on +44 (0) 20 8965 8212 or email us info@newlooktravel.co.uk .